NYX megashine gloss in "Natural"
Apparently I have poo brain today and can't think of a name for this look lol. If you have any suggestions leave it in a comment and check back later to see if I chose yours! Thanks so much for all your ideas! I have no idea what to name it either, lol. 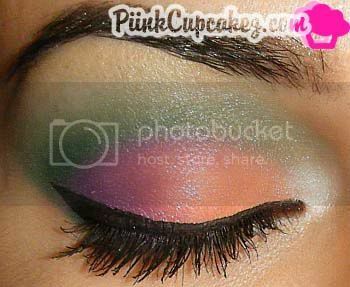 I love the look though, the peach colour in the inner corner, that's MUFE #5 right? 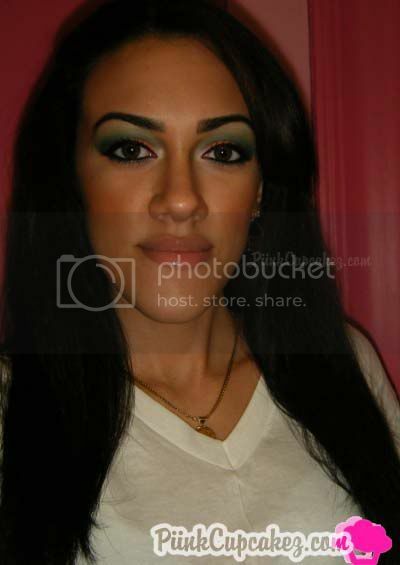 I've been looking for an eyeshadow like that forever. Very pretty! How about orange peach sherbert! PLEASE RESPOND!!!!!! What does FOTD/EORD MEAN???? Thanks!